Here at Garden Square Assisted Living of Casper we are always on the lookout for individuals who, like us, have a positive attitude and enjoy working with seniors. 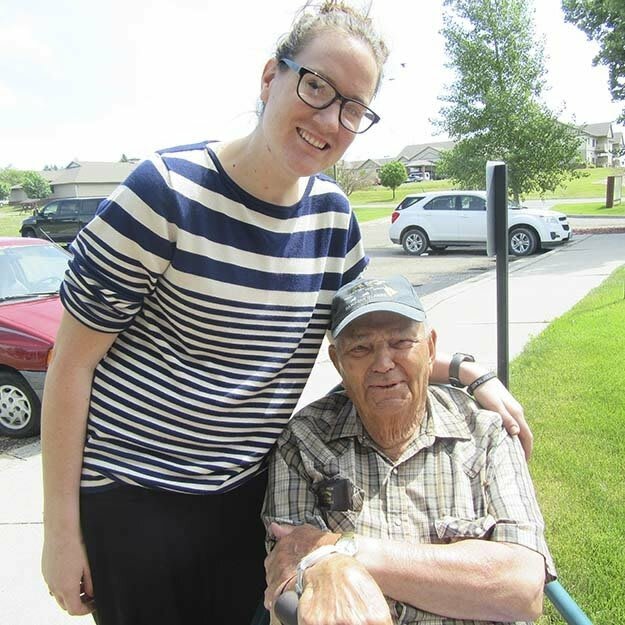 For most of our employees a job at Garden Square Assisted Living of Casper is more than just a job, it's a career. If you're someone who wants to make a career of caring for some of the most interesting people you'll ever come into contact with, we would love to meet you. Garden Square Assisted Living of Casper offers competitive wages as well as excellent benefits for our employees. We offer you the best benefits we possibly can and hope that you'll show your appreciation by working hard with a positive attitude. Additionally, we recognize our all-star employees on a regular basis because everyone deserves to know when they are doing a good job. If you know how to make the best out of every situation, while remaining both professional and realistic, a career in senior care at Garden Square Assisted Living of Casper in Casper may be just the right path for you. Garden Square Casper is always on the look out for great people. Garden Square is currently hiring for full-time & part-time C.N.A positions, as well as full-time & part-time LPN positions. Candidates need a high level of integrity and passion with exceptional work ethic to work with seniors. Please contact Mercedes Ortega, Administrator at administrator@gardensquarecasper.com for more details.